Cargotec is strengthening its range of waste handling solutions by entering into a cooperation agreement with the Finnish Ficote Oy for the resale of Fico 4Jet waste bin washers. The agreement enables Cargotec to provide Fico 4Jet waste bin washers and related services to customers in the Asia-Pacific and EMEA regions, except for Finland, Norway, Spain, and Portugal. In addition, the parties have agreed on a manufacturing licence agreement according to which Cargotec is entitled to start manufacturing Fico 4Jet waste bin washers in China. 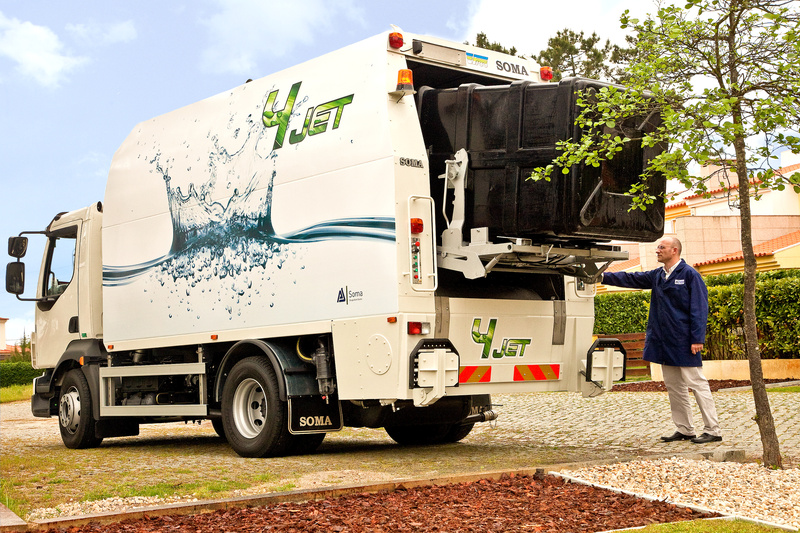 Ficote Oy has many years of experience in manufacturing sewer-cleaning vehicles and waste bin washers. The Fico 4Jet represents the latest technology in waste bin washing and hygienisation, for the benefit of the consumer, operator, and environment. The Fico 4Jet cleans refuse bins from both inside and outside with high-pressure water jets - economically and rapidly. The effectiveness of the washing lies in the effective filtering and circulation of water. The equipment needs only 1,500 litres of water to wash up to 300 bins in one day in continuous, uninterrupted operation without refilling. Thanks to the very low water capacity requirement, a lighter truck chassis with short wheelbase can be utilised, offering a smaller carbon impact on the environment, less fuel consumption, and lower investment costs for the operator. "Representation of the Fico 4Jet complements our offering for the environmental sector and is well in line with Cargotec's investments within the waste and recycling business. In addition to waste bin washers, we offer a wide product range for collecting, recycling, and transporting waste and recyclables," says Cargotec's Jukka Loikala, Director of Environmental Business Solution Development. "This agreement will allow customers to have access to the latest technology in waste bin washing. Cargotec is ideally positioned to develop our export sales further, and their global presence and extensive sales and service network guarantee easy, local access to customers," says Heikki Lehtonen, Managing Director at Ficote Oy. The Fico 4Jet waste bin washer will be unveiled at Cargotec's stand at the Pollutec exhibition in Lyon, France, to be held on 30 November - 3 December 2010. Please visit our stand in Hall 5, stand F 252, and the outdoor area 5 B7 2. Hiab is the global market-leading brand for on-road load handling solutions. Customer-driven Hiab on-road load handling products and solutions are utilised for moving goods and materials on the road - for example, at construction sites; in forests, industry, waste handling, and recycling; and by the defence forces.